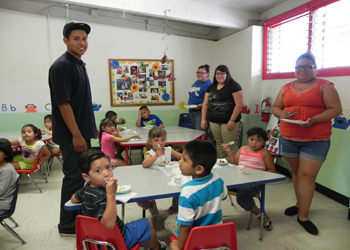 Since La Casa is a community center, it offers a wide variety of programs and cultural activities. 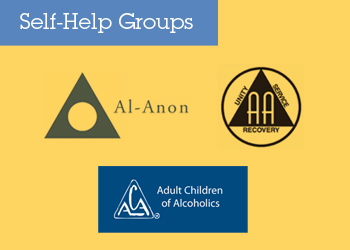 These programs and activities help tie us together as a community and build bonds across languages, cultures, ages, and abilities. Ballet Folklorico Sol de Fuego was started in 1995 by Anamaria and Serafin Chavelas and their friend Ricardo Palomini. The group calls La Casa home and is composed of 15 dancers, the youngest being three. They perform at all types of events from community events, fundraisers such as the San Gabriel Fiestas, collaborative workshops, and private parties. 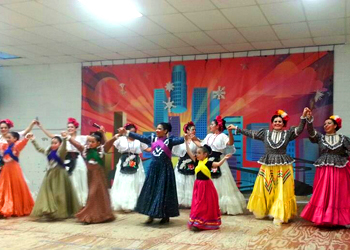 Ballet folklorico dance instruction is available to children and youth of all ages. The goal of the class is to provide a greater understanding and appreciation for Mexican culture and folklore through music, dance and traditional art forms. 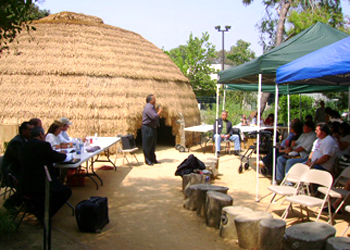 La Casa is headquarters for the Gabrielino/Tongva Tribal Council. Their service center acts as a gathering place for the tribe and offers support for its members. Students from Del Mar High School, the district continuation school, earn class credit by working as preschool classroom aides. Interns assist teachers with classroom projects, read to the children, help set up materials for class activities and work one on one with children as needed. The school principal reports improved achievement and class participation with students who regularly participate in our project. 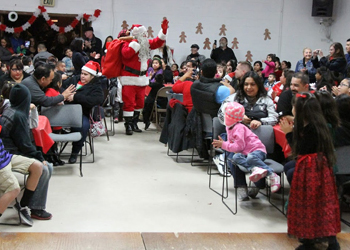 Each year individuals, groups and business participate in an extensive outreach to gather holiday gifts for La Casa’s families. Local churches and service organizations play an important role in organizing the collection of children’s toys, new clothing, household items and grocery gift cards to meet the specific needs of each family. If you or your group or business would like to participate in the annual holiday outreach, please contact La Casa at 626-286-2144.